Former UFC heavyweight champion Josh Barnett is now a Bellator MMA fighter. Although this news broke on April Fools day, it is indeed factual. Bellator President Scott Coker even has an opponent in mind for the heavyweight legend’s debut. Coker first announced that reigning Bellator light heavyweight and heavyweight champ Ryan Bader will defend his heavyweight belt against Cheick Kongo before returning to the light heavyweight division. He then added that Josh Barnett is likely to get an immediate title shot against the winner of Bader and Kongo’s fight. 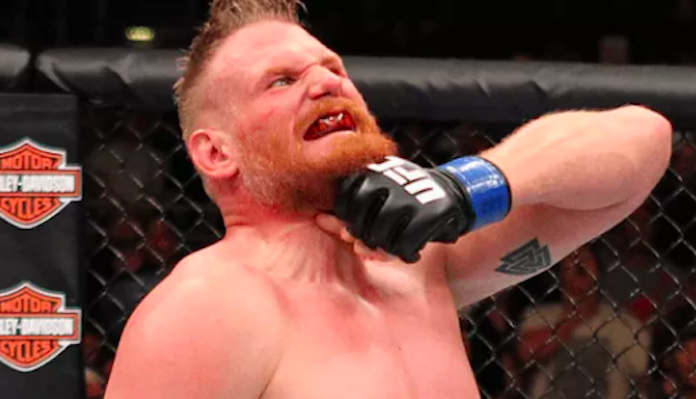 Josh Barnett has not competed in mixed martial arts since September of 2016, when he defeated Andrei Arlovski by submission in a back and forth war. This victory was preceded by a submission loss to Ben Rothwell, and a dominant defeat of Roy Nelson, who also currently calls Bellator home. Do you think Josh Barnett will be able to capture the Bellator heavyweight strap in his first fight with the promotion?